Our Cherry Wet Wax STS 3000 and Aqua Seal will keep your baby looking like new year round with a wet look protective finish. All of our interior cleaners, shampoos, soaps and dressings are very pleasant to use, are fruity scented and are VOC compliant and 100% biodegradable. 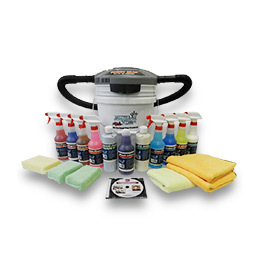 We offer a huge selection of car care detailing value kits. 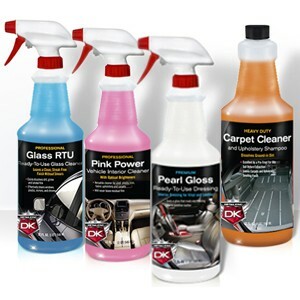 Keep just about every component of your vehicle clean and conditioned. You don’t have to be an automotive detailing professional or business owner to take advantage of the great professional car care products we offer. If you are a car enthusiast and like having your car looking the best it can possibly can, you too can purchase professional grade automotive detailing supplies from one of the best suppliers in America: Detail King. If you love cars as much as we do, you wouldn’t settle for anything less when you detail your car, which is why we carry premium car care products in consumer sizes so you can get that great look, along with having the satisfaction of doing it yourself. Detail King strives to provide the best in detailing supplies for the business owner and car enthusiast, which is why we offer interior and exterior automotive detailing supplies as well as car care detailing value kits so you can save money and get the best products available. 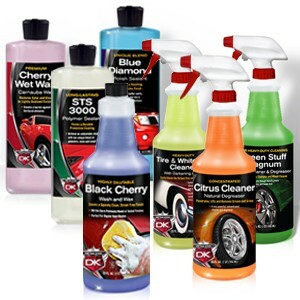 We now offer our products in all new Quart Sizes of our car care detailing products! These new sizes are typically larger than the bottle size you would purchase at the auto parts store, which makes them a better value!